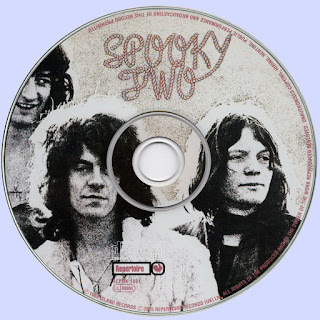 Spooky Two is this British blues-rock band's pièce de résistance. All eight of the tracks compound free-styled rock and loose-fitting guitar playing, resulting in some fantastic raw music. With Gary Wright on keyboards and vocals and lead singer Mike Harrison behind the microphone, their smooth, relaxed tempos and riffs mirrored bands like Savoy Brown and, at times, even the Yardbirds. With some emphasis on keyboards, songs like "Lost in My Dream" and the nine-minute masterpiece "Evil Woman" present a cool, nonchalant air that grooves and slides along perfectly. "I've Got Enough Heartache" whines and grieves with some sharp bass playing from Greg Ridley, while "Better by You, Better Than Me" is the catchiest of the songs, with its clinging hooks and desperate-sounding chorus. The last song, "Hangman Hang My Shell on a Tree," is a splendid example of the bandmembers' ability to play off of one another, mixing soulful lyrics with downtrodden instrumentation to conjure up the perfect melancholia. 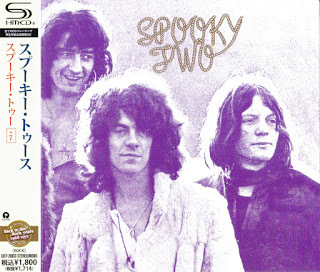 Although Spooky Tooth lasted about seven years, their other albums never really contained the same passion or talented collaborating by each individual musician as Spooky Two.